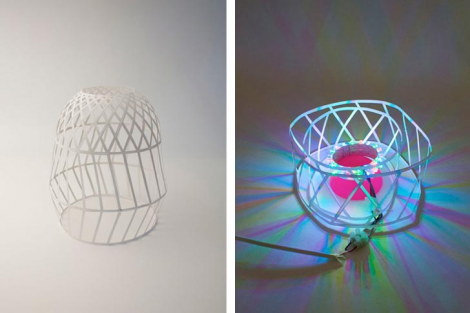 The CMYK Dennis Parren lamp emits a tree of light interrupted by iron. This causes a separation between the colours Cyan, Magenta, Yellow and Key (black). 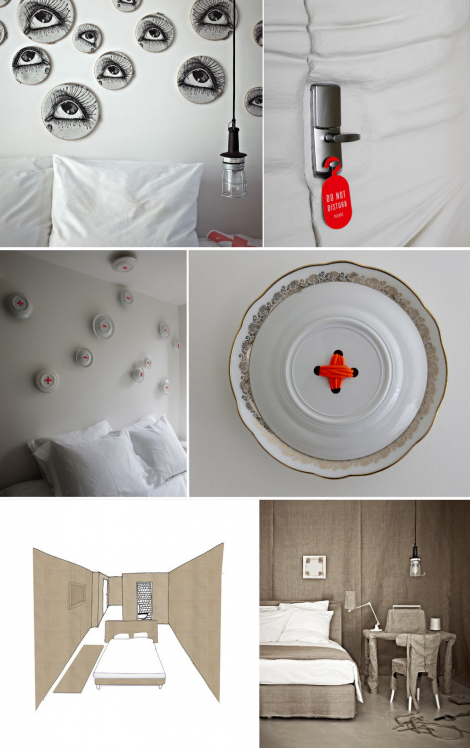 Project Hotel The Exchange, Stock and Options! and a Contemporary department store (Options!). with students from the Amsterdam Fashion Institute. The hotel interior breaks with traditional interior design principles. completely new perspective on interior design. an extraordinary amount of space. They put out the lines within which the students are free to take the freedom they need. The project is locally relevant, as it contributes to a positive perception of the environment (Damrak). with a woven 3D structure contributes to a more subdued atmosphere. The selection committee: In the design, function, beauty and technology come together and professional skill is central. The design challenges us to think differently about the added value of textiles in contemporary interiors. one of the oldest porcelain manufacturers from Japan. 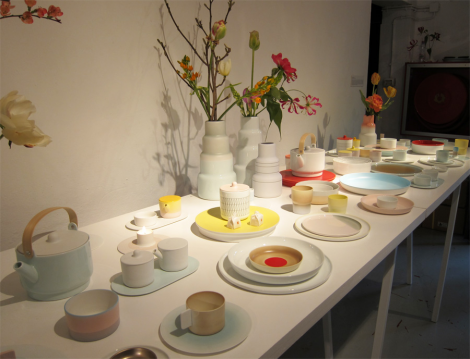 Colour and shape play an important role in the different table objects. The tableware has a beautiful formal language. imbuing them with a kind of naturalness.